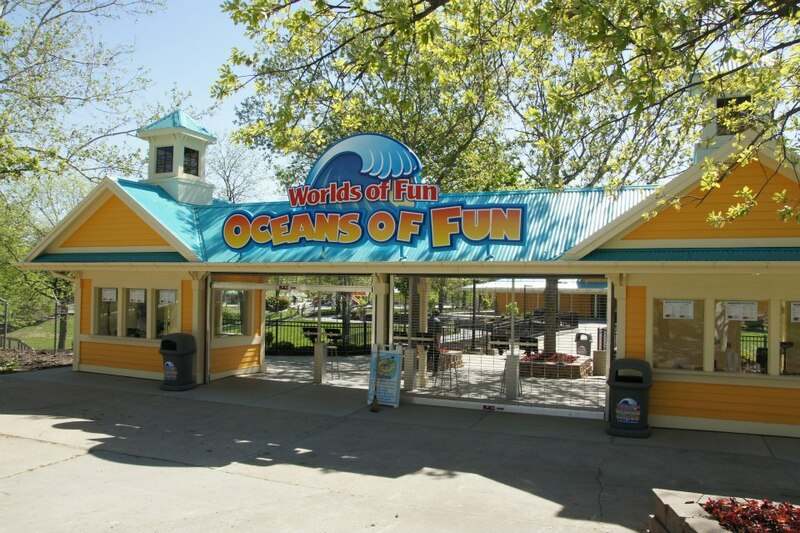 Time to check back in at Oceans of Fun. The front gate area is about ready to go. 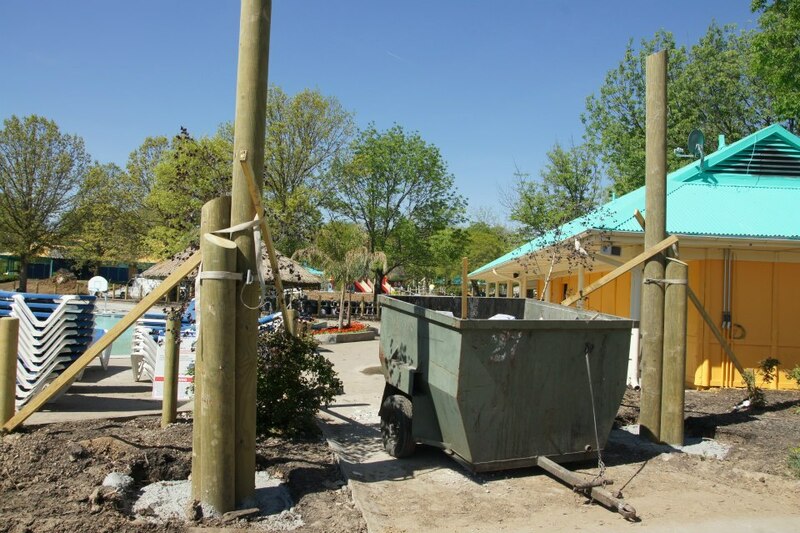 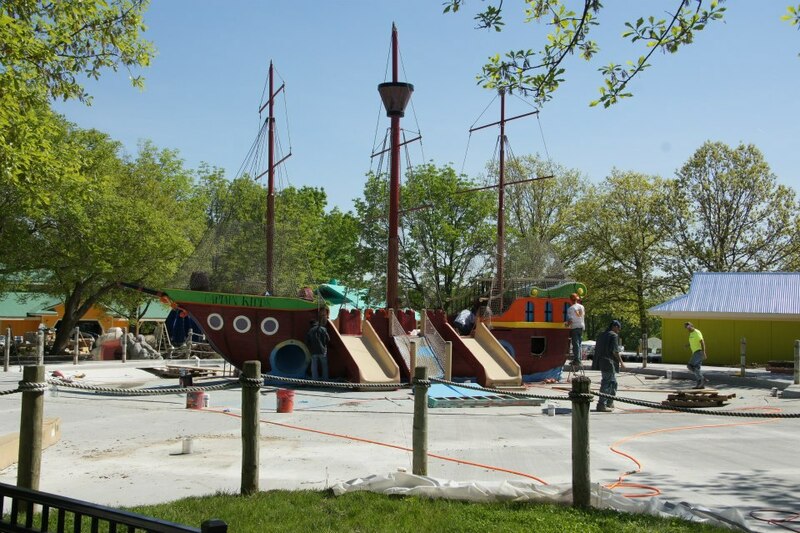 Finishing touches being done at Crocodile Isle. 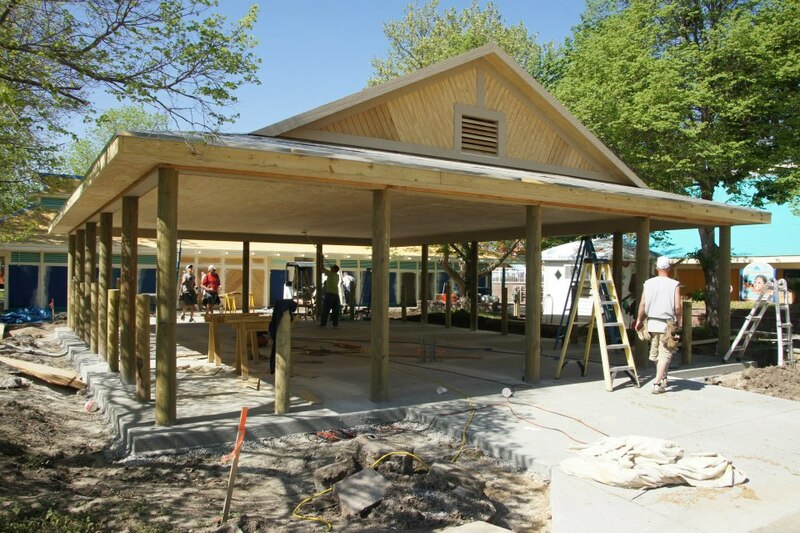 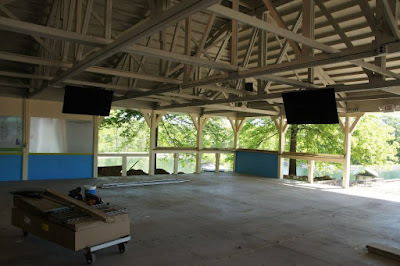 The locker pavilion is quickly coming together. This is the new entrance arch to the adult pool area. Landscaping has been done over by the adult pool. 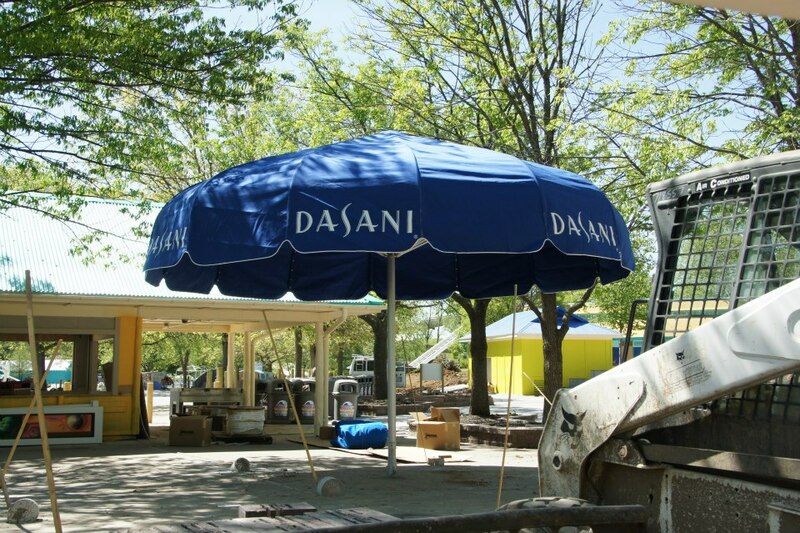 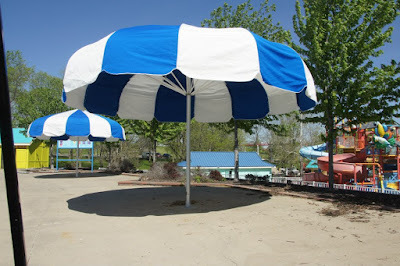 The park has installed some huge umbrellas around the park. 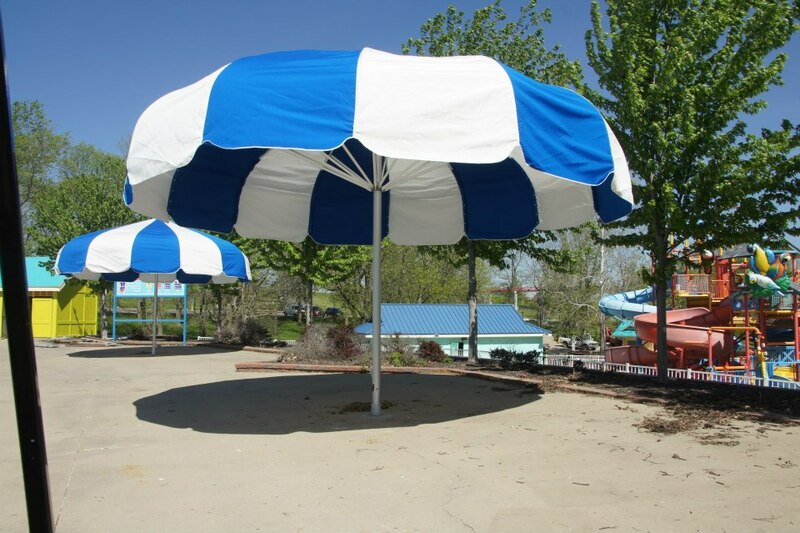 This is up near the wave pool. Here is another one down by Crocodile Isle. 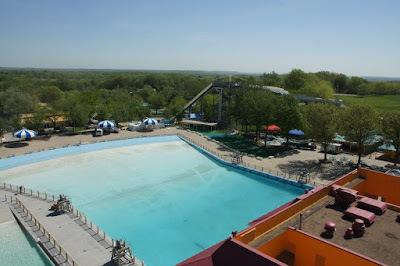 They've begun to refill the wave pool. 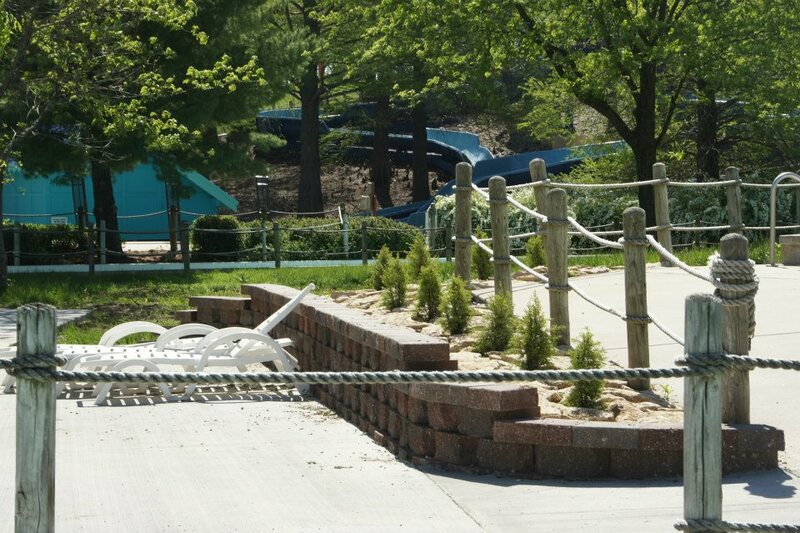 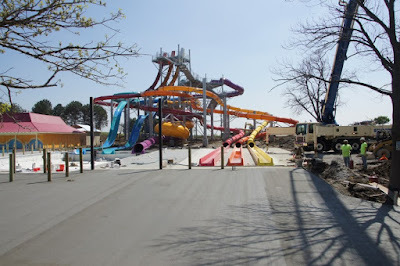 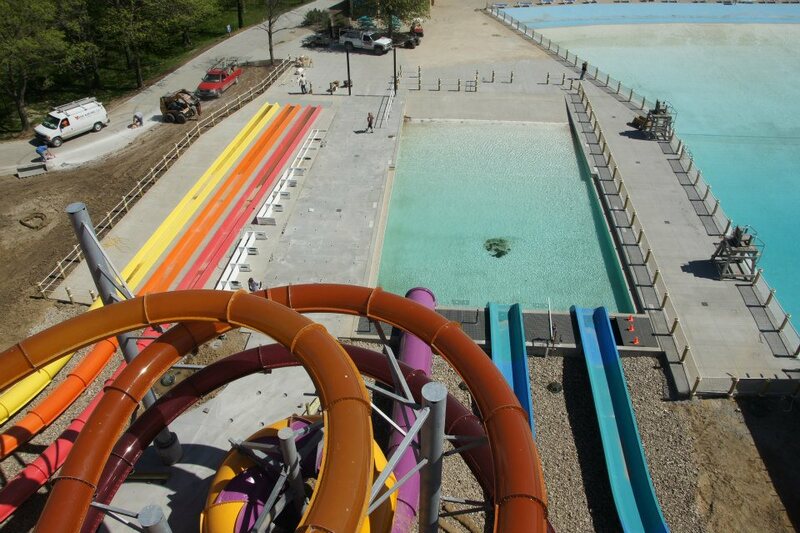 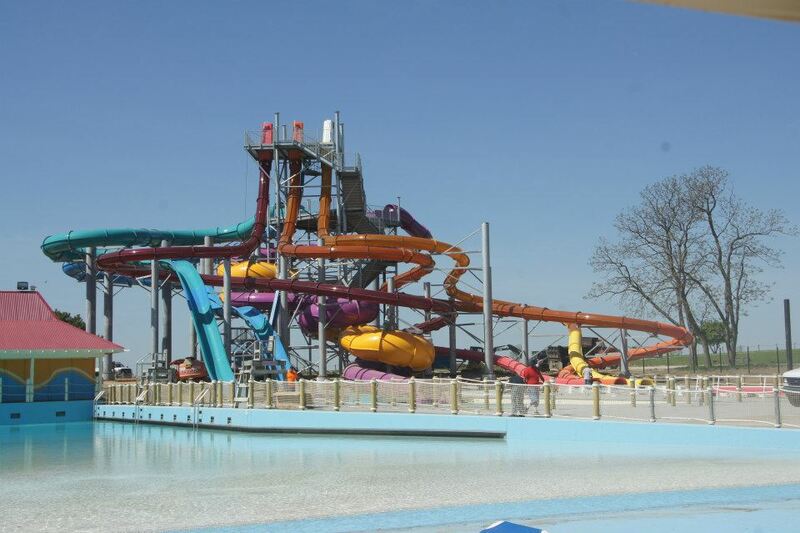 Let's take a look at the progress on the new slide complex. 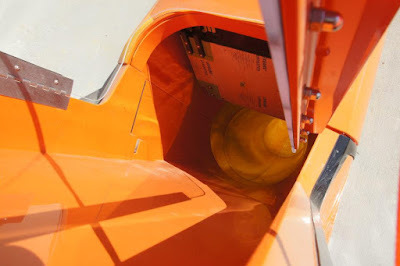 This is the tube complex landing. 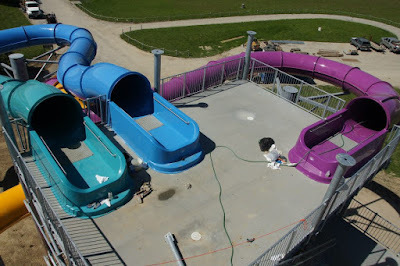 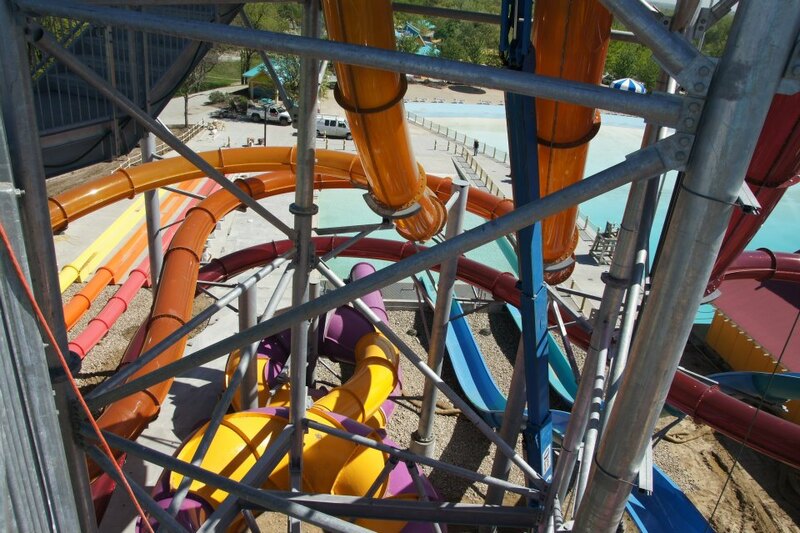 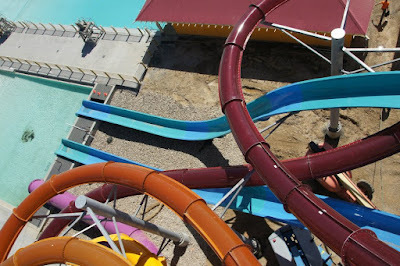 The Constrictor slide is the purple slide and then the other two are "normal" tube slides. This is looking down one of the drop capsules. 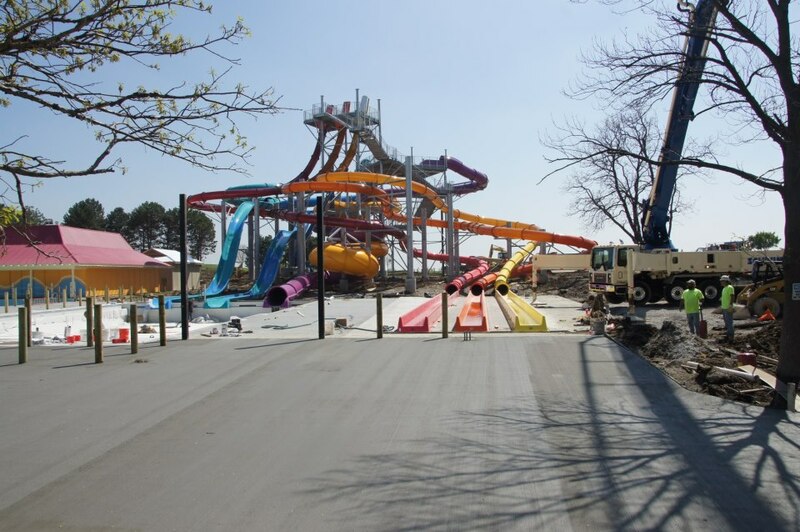 There will be a covered queue area between the splash pool and runouts. 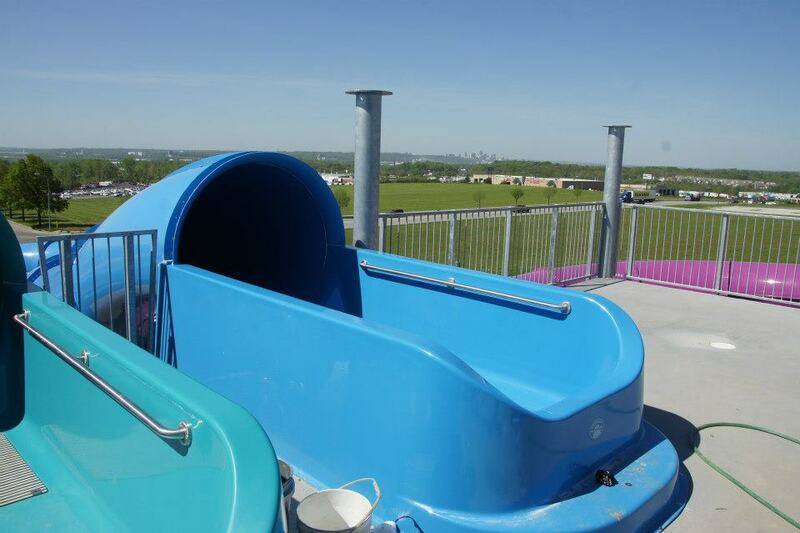 Here are the two tube slides. 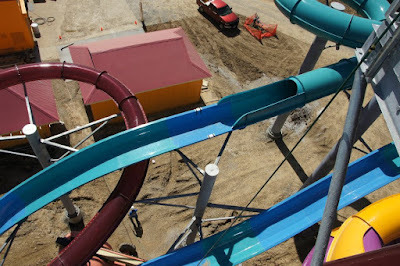 One has a double down and the other is a straight drop down. 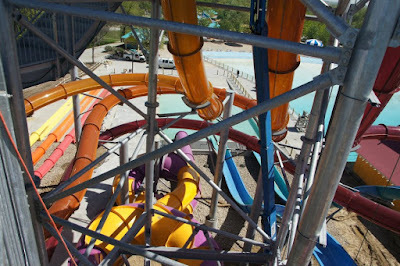 This complex is so amazing. 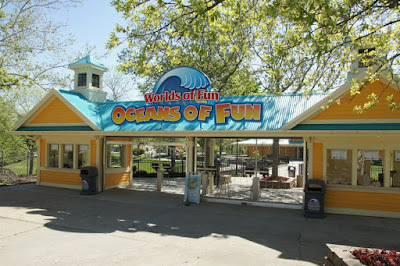 Cannot wait to try this place out.